This music study guide is based on composer Iain Grandage's choral work wheatbelt, with text by Kevin Gillam, commissioned by the Australian Society for Music Education (ASME) for performance by youth and school choirs. The choral piece itself is quite challenging and so is most suitable for more mature school choirs as well as youth and community choirs. It is hoped that schools with senior choirs will meet the challenge and include wheatbelt in their choral repertoire. The broader intention of this study guide is to expose students to the creative process of musical composition by focusing on specific techniques used by a composer in setting a poem to music for a full SATB choir. In examining how Iain Grandage employs particular musical elements and 'controls', students are then encouraged to apply them to their own compositions. While the study guide is particularly aimed at senior students in years 11 and 12, some of the ideas could be adapted for younger students. 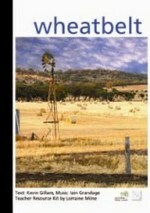 Contents note: Teacher's resource booklet -- score of 'Wheatbelt' by Iain Grandage, with text by Kevin Gillam -- CD recording (including the full work, and extracts relating to sections of the teacher's booklet). Commissioned by the Australian Society for Music Education (ASME), 2007. 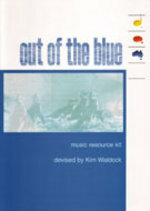 Kit: Out of the blue : music resource kit / devised by Kim Waldock. 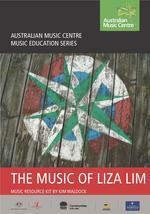 Kit: Our home, our land : contemporary Aboriginal music education kit / devised by Stephen Lalor. Kit: The music of Liza Lim / music resource kit by Kim Waldock. 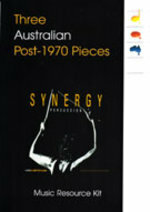 Kit: Three post-1970 Australian pieces / written by Stephen Lalor. 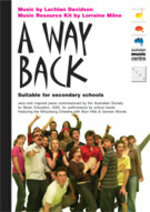 Kit: A way back / music by Lachlan Davidson ; music resource kit by Lorraine Milne.